We are the product of our own destinies. There isn't much that decodes our existence justifying the reality of being a woman than the fact that we rule out the unwanted in our lives. 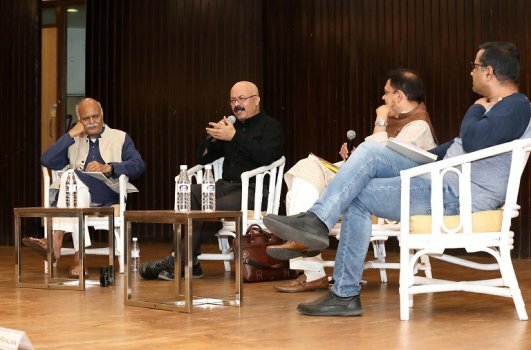 This undying spirit to excel in their art forms and dilute their societal roles is what Sufi Kathak Foundation so effectively expressed in the seminar on Baijis of 16th and 17th century. Through as academic discourse on the lives and journey of Begum Akhtar, Jaddan Bai, and Gauhar Jaan emerging through the deliberations it was the pathos and struggle of such ladies which stood the test of the times that these dialogues represented. 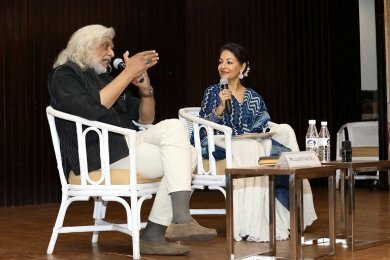 The stalwart of cultural world of cinema Muzaffar Ali in his address on the topic delved deeper into the art of bringing this lost world of Lucknow bylanes which he could transform so well in Umrao Jaan, his magnum opus. A celluloid depiction from a book, it moved from being a landmark film on the tawaif traditions. Why were these women so venerated by the rich zamindars and nawabs is anybody's guess but for the exalted nature of their vocation. They could mesmerize an entire generation of connoisseurs and express their desires for wealth and societal acceptability. By no means were they lesser beings for their patrons mainly because they carried a legacy that was not unmatched. Years of taking rigorous musical trainings, dance, theatrical gestures and practiced rendition made them legends to be heard until now. The more the intrigue, the more their desire to be heard and preserved. Some amongst them swept away from their gory pasts and became respectable married women with palaces in respectable localities in the towns they lived and regaled the musical soirees of the times. None of them were educated yet they were progressive thinkers who adjusted, transformed their art from kothas, brothels to archives of gramophone era and All India Radio as they depended on the source of governmental money to sustain their lives. 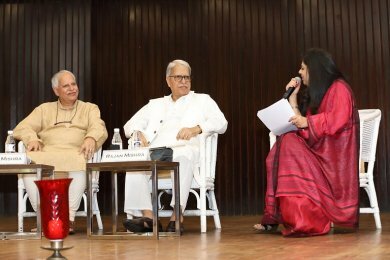 Rajan and Sajan Mishra, the legendary vocalists, interpreted their learning and concert experiences laced with anecdotes. Many like A.N. Sharma are battling the system of archiving and collecting painstaking audio LPs of the bygones era and preserving them for posterity. Governmental support to this archives are far and few yet not impossible. The tradition of Kothagoi was not concentrated simply to Lucknow or Banaras or Kolkata but had similar overtones in all parts of India. Life was as much a struggle for a Begum Akhtar as much as for Panna Bai in Patna. The patrons of 19th century were exploitative and the introduction of radio and gramophones were a step for the next generation patronage. 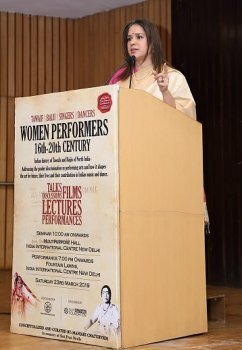 The curator Manjari Chaturvedi deserves all credit for taking a bold overview of the lost history on Indian women performers and needs a confirmation from all of us who want to preserve this wealth of knowledge that is getting extinct. Real-life encounters can only add to propagating this art form in the younger generations. Kasturika Mishra is a Cataloging Library Specialist, music and dance critic, blogger at Mihika Mishra on facebook.